The new formula excludes the first $250 of each claim from the X-Mod computation. This change removes any experience rating incentive to not report the cost of small or “first aid” type claims to your insurer. 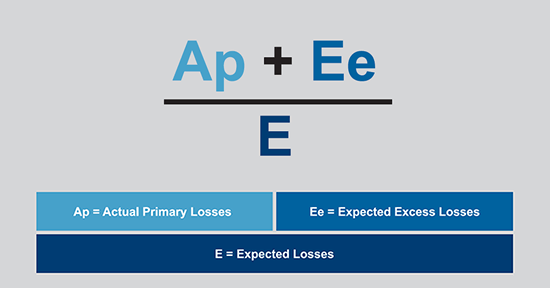 The new California experience rating simplified formula also places a clear and direct emphasis on reducing the occurrence and cost of workplace injuries as reflected in the actual primary losses. How does the $250 loss exclusion work? Under California’s Experience Rating Plan only the amount of each of your claims, up to your primary threshold, is used in the X-Mod computation. With the $250 loss exclusion, that amount is reduced by $250. For example, if you have a $10,000 primary threshold and a single claim of $5,000, the amount used in the X-Mod computation is $4,750. If you have a single claim of $15,000, the amount used in the X-Mod is your primary threshold ($10,000) less $250, or $9,750. Is the first $250 excluded from all claims? Yes, any claim incurred against policies incepting during the experience period for your 2019 experience modification, which includes 2015, 2016 and 2017 policies, will be used in the X-Mod computation at $250 less than its reported value. What if I file a claim that’s valued at $250 or less? A claim with a reported cost of $250 or less will continue to be shown on the experience rating worksheet, but will not be used in any way in the X-Mod calculation. If I only have one claim over $250 during the experience period, do claims valued at $250 or less affect the 25 point cap to my lossfree X-Mod? Any claim of $250 or less will not be considered in the determination of whether the single claim cap of 25% applies. In other words, if you have two claims during the experience period and one is reported at $250 or less, the single claim X-Mod cap of 25% will still apply. Does the simplification of the formula affect my X-Mod? No. It does not change the X-Mod value. Can I lower my X-Mod if it is too high? Yes! Simple Work Comp has programs in place that (if accepted to the program) can lower your California Experience Rating. Please contact us for inquiries regarding lowering your X-mod and getting discounts on your workers’s comp insurance and unemployment taxes.